YMV manufactures wide range of anchor mooring capstans for all types and tonnages of vessels. When the space is limited capstans are widely preferred. 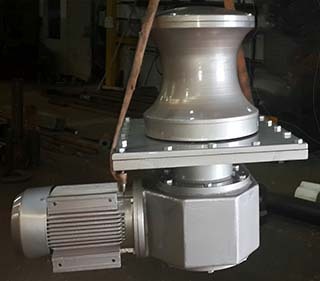 Electric motor can be fitted inside the warping head or reduction gear and electric motor can be designed as suitable for under deck mounting. Vertical designed capstans with pull capacity of 1 tonnes upto 50 tonnes, are suitable for chain size between 12-81 mm. Hydraulic or electric drive alternatives are available.